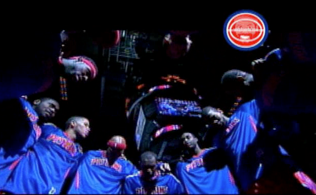 So much for that five game winning streak the Pistons were hoping for. The Washington Wizards came into the Palace and blew out the Pistons 98-77, on what you could call one of the least inspiring performances all year by the team. JaVale McGee, who attended Birmingham Detroit Country Day and is originally from Flint, was all but unstoppable for the Wizards. He had eight dunks, scored 22 points and was a defensive menace, grabbing 10 of his 11 rebounds on defense. Nick Young also scored 22, and John Wall had 15 assists tying his career best, and all nine of his points in the third quarter. 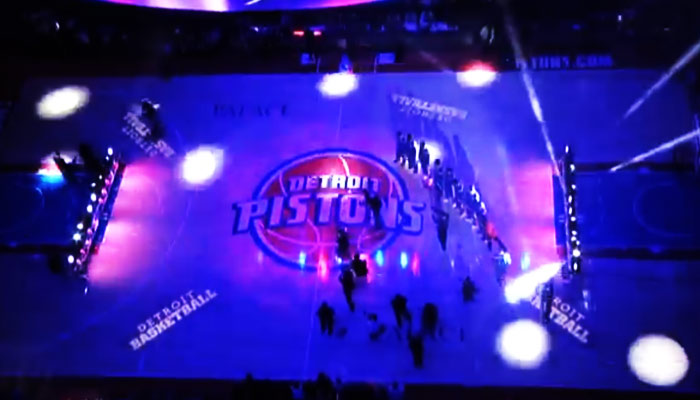 The Pistons did however get my attention when the tied the game at the half 45-45 at the half, and then took a 60-59 lead in the third after a Monroe layup. But then John Wall took over and they looked like they would have been happier eating a Happy Meal than playing an NBA game on their home court. Bless Greg Monroe for doing what he could, leading the Pistons with 27 points and 6 boards. It’s disappointing to watch, especially after the way they have been playing. You win the games your are supposed to win. This game showed one thing that most of us already know, this team needs SIZE. And for those of you paying attention and counting the days…another step towards the possibility of having Anthony Davis in red, blue and white. 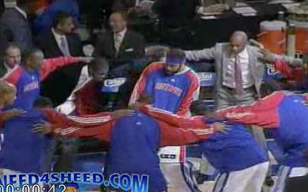 10 Responses to "Pistons on the wrong end of a route"
McGee had a dunk fest at the expense of the Pistons. Our guards had a bad game and Daye had yet another bad shooting game. I keep hoping Austin will break out of his slump but it does not look like it is going to happen. Still the winning streak was nice while it lasted. Now we face a couple of tough games in a row with the Spurs and the Celtics in Boston. Unfortunately, Anthony Davis will be long gone by the time we get to pick at around 5 or 6, but I agree that we need another big either by free agency or through the draft to prevent these routs from happening on a regular basis. Before the college season started, it was Sullinger. A month ago it was Drummond. Now it seems to be Anthony Davis. Why can’t people make up their mind? If a new name turns up in a month or so, that will be evidence that we probably shouldn’t tank the season when there’s no clear-cut first pick. The name changes all the time, yet people say it like they’re so sure about it. If it can’t stay consistent throughout a whole season who the top pick will be, then why be so certain of him? This is why I’ll never be on board with rooting for a team to lose. Agree. Just win as much as we can and hope for the best in the draft. Our recent drafts have been great (kudos to Joe) while they are’nt even top picks so why tank? Right!! I remember people on this board wanting Acie Law a few years ago and look how he turned out! People always dog oe for the mistakes he’s made but we all make mistakes! No GM has had a perfect record of success! And before last season the name was Harrison Barnes. Where has that name gone? Not in discussion for top pick, I can tell you that. What I’m saying is last year sounded like, “Well, we’re at least one step closer to Harrison Barnes.” Now that sounds ridiculous. There is no guarantee in the draft and because of the lottery balls even the team with the worst record may not get the first pick anyway. Besides every coach wants to win games, not try to get the number one pick since they may be fired in the meantime. Charlotte with 15 L in a row seems to be in the drivers seat for most lottery balls this year not the Pistons. Speaking of the draft. Big Ben is going to set a new record of games played by a non drafted NBA player. Walker Russell is a great D league story but how about J. Lin of the Knicks who was almost cut by the Knicks and was sleeping on a friends sofa. Now he is a fan favorite for good reason. The kid from the Ivy league can ball. You thought that was bad? I had to listen to Steve Buckhantz call the game.